Here is another important topic for the GPAT preparation. Every year you well get fair amount of questions in the GPAT exam from this topic. We have tried to explain this topic simply and interactively. Don't forget to mention your any doubt in the comment below. We will be happy to clarify it by the experts of our team. Alkylation of DNA (mainly N7 of guanine). Misleading in DNA replication-----> Cell Death. Alkylation in G1 & S phase. Cell death in G2 phase. 1. Methotrexate: Folic acid antagonists. Binds to dihydrofolate reductase------> No folic acid synthesis. Lack of folic acid-------> No synthesis of adenine, guanine, thiamine & cytosil. 1. 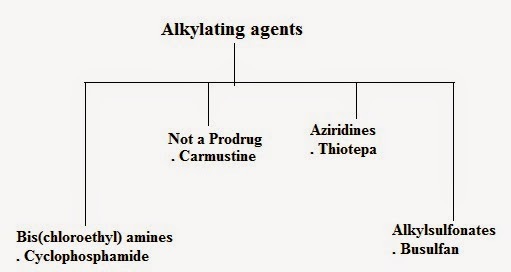 Vinca alkaoids: Vincristine & Vinblastin (Tubule synthesis inhibitor). 2. Epidophyllotoxins: Inhibits Topoisomerase-II-------> DNA breakage. 4. 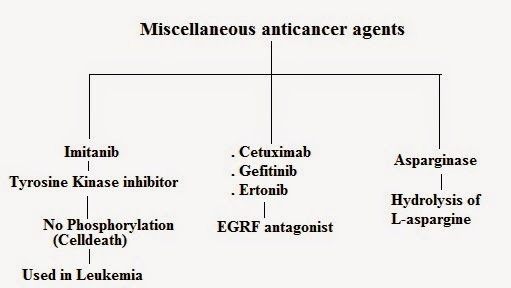 Taxanes: Acts as spindle poison (mitotic). d) Antiestrogen: Tamoxifen (Breast cancer).